With the new iPads, overhauled Mac Mini, iMac with fancy 5K Retina display, OS X Yosemite and iOS 8.1, Apple has dumped a huge amount of new stuff out there over the past week. One thing that sort of slid under the radar of many people, however, was iTunes 12. Back in the day when iPods ruled the Apple Events, iTunes itself would merit a huge chunk of a presentation. Now, it’s almost like an afterthought. 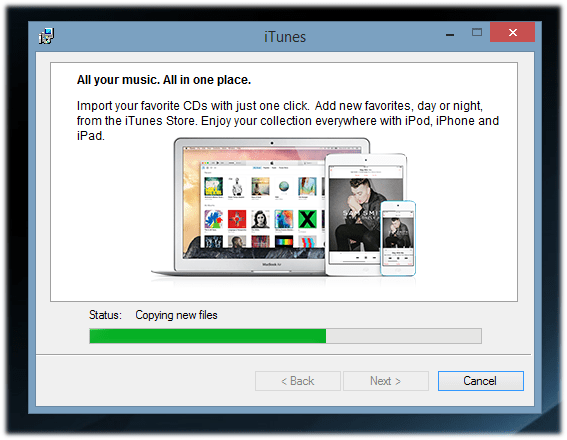 So what’s new in iTunes 12? For one thing, it’s been visually overhauled to look like OS X Yosemite, so you get that flat-ish candy-colored iOS 7/8 look now, even if you’re using iTunes on a Windows PC. You cannot escape. iTunes 12 even got a new cherry-red icon down in the Mac Dock or Windows taskbar. The program’s display font is also noticeably lighter and not as easy to read. As with the leap from iTunes 10 to iTunes 11, the jump from 11 to 12 includes a bunch of mucking about with where icons and buttons live, some of which is more disorienting than it should be. 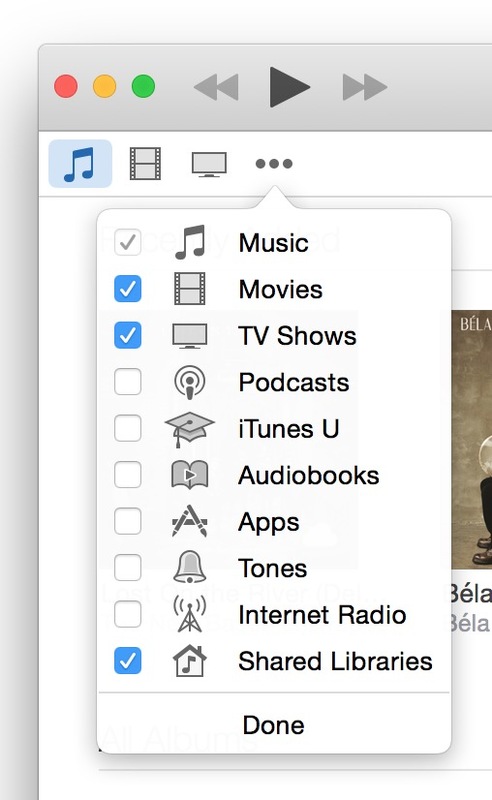 Instead of the pop-up menu to jump between your various media libraries — or the Sidebar, if you went retro in your View settings — iTunes 12 has small gray icons for the Music, Movies and TV Show libraries at the top left of the window. “But wait!” You say. “Where are my Podcasts, my Audiobooks, my Internet Radio stations, by Apps, my iBooks and my iTunes U stuff that I used to be able to get to from the pop-up menu?” Fear not — those libraries are still there, just not particularly visible at first. If you move to the right of the TV Shows icon, you see the three-dot More menu. Click that and you see icons for all those other things. Click Edit at the bottom of the menu to add the icons to your iTunes window permanently, as shown here. So that’s the left side of the window. The middle of the iTunes window has clickable text buttons labeled My Music, Playlists, Match, Radio and iTunes Store. People have already begun to howl that the View Sidebar option is gone from the iTunes menus and the program looks completely unrecognizable. The Sidebar is mostly gone, but there’s a way to get back to that familiar three-panel iTunes Window of Yore where you had the sidebar, the column browser (with your horizontal list of albums, artists and genres) and then your list of songs in the bottom center of the window. Playlist editing. Hate the old way of making playlists where you were dragging stuff out of the music library without being able to see all your music? In iTunes 12, you can now see your full music library and playlists side-by-side, making it easier to browse your music and drag your favorite songs into any playlist. The Get Info box. It which holds all the information about an album or track — and where you go to edit types and add artwork to files — has been redesigned. Family Sharing. If the members of your household have their own iTunes accounts and passwords, everyone can share your purchases from iTunes, iBooks, and the App Store with up to six people in the house — without having to cough up account names or passwords. You need to set up your “iCloud Family” in the iCloud preferences in OS X Yosemite or iOS 8 settings. Recently Added section. 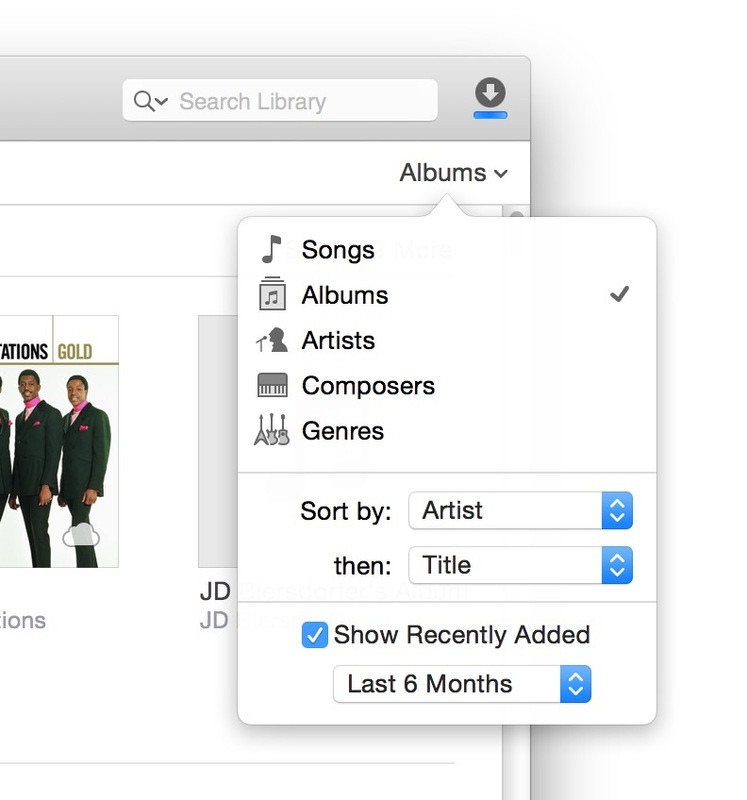 New purchases or additions to your library are shown in the Recently Added section at the top of the iTunes window. By using the Albums/Artists/Songs/Etc. drop-down menu on the right side of the window, you can adjust the amount of time things stay in the Recently Added area. Consolidated menus. All your iTunes Store account stuff, including your account name, wish list, Purchased list and place to redeem iTunes gift cards has all moved to a drop-down menu just to the right of the window that displays track information at the top of iTunes. Still the same. The volume, playback and search controls are still in the same place they were in for iTunes 11. Whew. And Apple has upgraded its iTunes support pages for the new version, so the documentation is still in the same place. Unfortunately, also still the same. 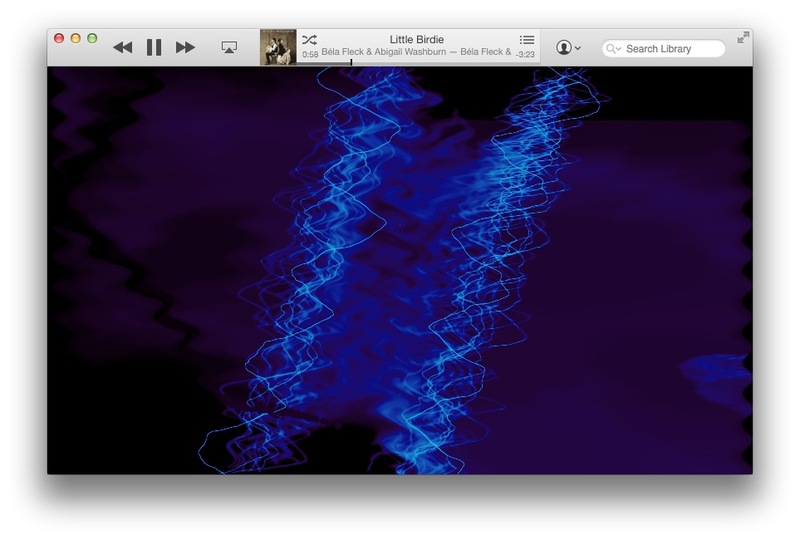 As with iTunes 11, iTunes 12 has gotten progressively more colorless, except for album artwork. The Up Next icon is still in the Display window, but only when you mouse over it. The option to minimize the window into the MiniPlayer is also up in the Display window. All in all, it’s more of a stripped-down mostly monochrome interface with fewer icons. 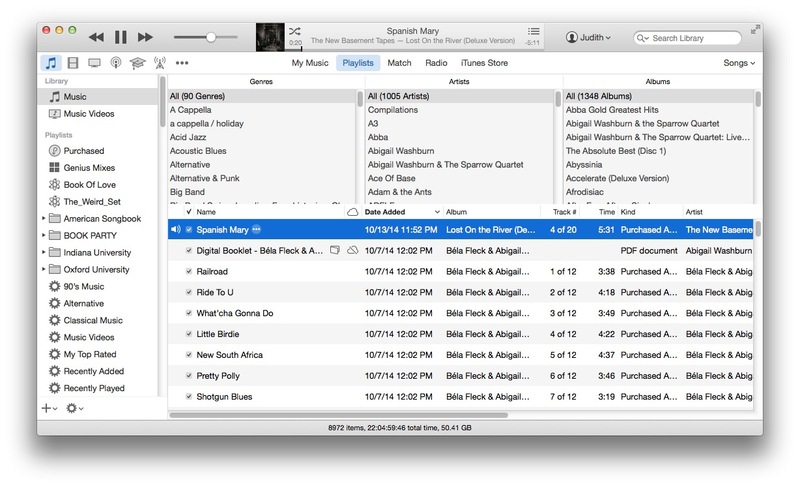 If you hated iTunes 11or iOS 7, iTunes 12 will probably further annoy you. But if you mainly use iTunes to back up an iOS device or to spin tracks at your desk while you work, it’s not too difficult to find your way around it, but the program just doesn’t seem as fun as it used to be. Perhaps iTunes has reached the end of its Apple journey that began back in 2001 and a new Beats-based program will be taking over next year. Who knows. But until then, at least we still have the Visualizer.